Unless you’ve changed it by deed poll your name is the one given to you by your parents at birth, so how important is it to get it right? My name Ushma is a traditional Hindu name which my parents gave me. It means warmth, but I’m always cold, so slightly ironic! My dad wanted a simple, modern name which is easy to say and hoped people would only use Ushma to address me. In fact, he would get really offended if people did get it wrong or shortened it to Ush or Ushie. I think it’s fairly easy to say, you just say it as it’s spelled – Ush- ma. There are no silent letters or hidden pronunciations but you’d be surprised how many people still get it wrong. So how important is your name in the workplace? Well to me it’s extremely important. I use it all the time in a professional capacity and so I expect people to get it right, I don’t even mind if you ask me how to say it. In fact, I would rather you do that, then got it wrong. So how do you deal with someone getting your name wrong? In my early days as a newspaper reporter, in my mainly-white office, I got really upset that my work colleagues would often get my name wrong but then wouldn’t make any attempt to correct themselves or ask me how to say it. This prompted me to fire off an email with the subject “Correct pronunciation of my name” to the entire newsroom staff. Thankfully it worked! Nobody was offended and my name was pronounced correctly (mostly). 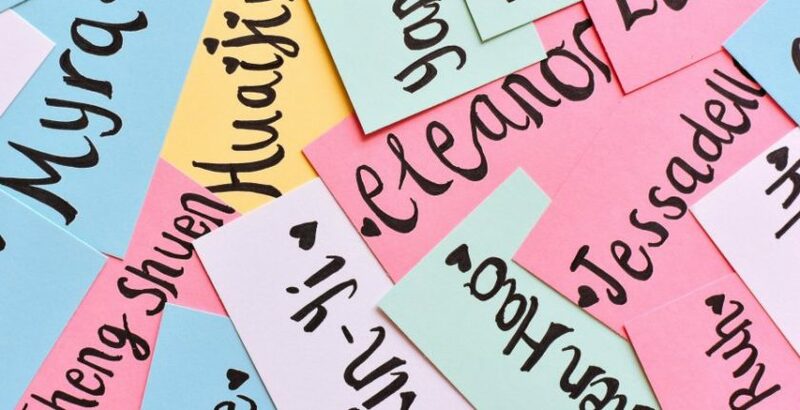 Your name acts as a unique identifier, differentiating you from most other people, and is ultimately the label to your ‘professional brand’ in the workplace. Get that wrong and you may already be on the backfoot. At best a mangled name pronunciation can come across a bit lazy – at worst, a tad rude. For me, having a slightly “exotic” name means you constantly have to deal with it being botched (I recently wrote a LinkedIn post about it here), I’d suggest trying to get your head around the pronunciation before meeting people. I’m mightily impressed when people get my name right in the first instance. And first impressions last – particularly in a work context. Here at the Undercover Recruiter/Link Humans headquarters, we are a very multi-international bunch. I asked our team to tell me some of the wrong names they’ve been called. Take our boss Jorgen, who is Swedish. His name is pronounced Yur-gunn and you’d be forgiven for getting this wrong if you didn’t know that in Swedish the letter J is pronounced as a Y. But with that in mind, surely being called Jaw-gun is probably the worst he’s been called, right? Wrong! Jordan, Goran, Jorge, George, Nigel (yep) – I usually let it go unless we’re doing a podcast recording and I’d hate for them to call me the wrong thing for 30 mins. And it’s not just his name that people get wrong, it seems Undercover Recruiter’s sister company Link Humans trips people up to. Jorgen told me it’s been called Humanlinks, Links Human, Think Human, and even LinkedIn! My old Polish next door neighbour in Toronto used to call me Christ. If someone’s name is hard to spell, or indeed to pronounce, always make the effort to get it right. It shows professionalism, they’ll be forever grateful, you’ll stand out from many of your peers, your relationship will strengthen and who knows where that may ultimately lead you? Repeatedly getting someone’s name wrong never bodes well for the future of your relationship. At the subconscious level, you’re repeatedly demonstrating you couldn’t care less about them. As a ‘Jon’ I suffer from this hugely. Even months and years after relentlessly signing off as Jon, some people still address emails and messages to John and spell my name incorrectly in programmes, on agendas, and in online articles. How hard can it be? I presume they’re either, dim, lazy or just disrespectful. They’re always the second choice in my book.